Sony Pictures Classics has announced that they have acquired all US, Australian, New Zealand, South African, African TV, and Eastern European (minus CIS which has already been sold) rights to Kill Your Darlings. Update: 7th June 2013. Sony Pictures annouced via Twitter that the release date of Kill Your Darlings will be 18th October in NY and LA. Official announcement! KILL YOUR DARLINGS starring Daniel Radcliffe & @danedehaan will open in NY & LA October 18th, soon after nationwide! KILL YOUR DARLINGS is produced by Krokidas, Benaroya Pictures’ Michael Benaroya, Christine Vachon of Killer Films and Rose Ganguzza and is executive produced by Benaroya Pictures’ Head of Production Joe Jenckes, Stefan Sonnenfeld, Jared Ian Goldman, Killer Films’ Pamela Koffler, and Randy Manis. The film is the previously untold story of a murder that brought together a young Allen Ginsberg (Radcliffe), Jack Kerouac (Huston) and William Burroughs (Foster) at Columbia University in 1944, providing the spark that would lead to their Beat Revolution. KILL YOUR DARLINGS was negotiated by SPC and UTA’s Rena Ronson along with Cassian Elwes. @anonymous seems I have good news! 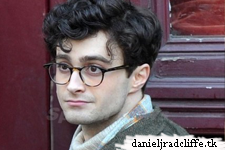 IMDB has posted a release date of 14 November 2013 for Kill Your Darlings in Italy. Thank you for the good new! I write this on my agenda! I'm very happy! Kill your darling will it release in france ? Ok thank. Shame i really wanted to see this movie.